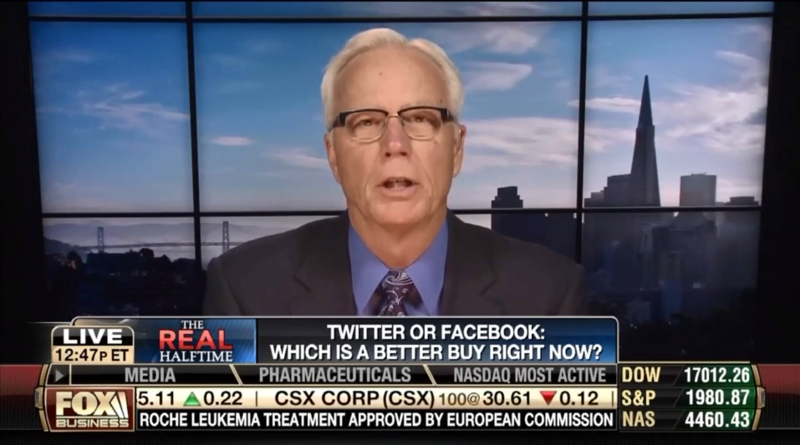 Facebook or Twitter – Which Stock Is Better? Which social media powerhouse – Facebook Inc. (Nasdaq: FB) or Twitter Inc. (NYSE: TWTR) – should investors buy now? That’s the question host Stuart Varney posed to Michael on Fox Business‘s “Real Halftime” Tuesday. I call it the future of computing. And it’s just one reason why I think HP (NYSE: HPQ) is among the smartest plays in tech right now. The technology behind The Machine is extremely complex – “memristor“-based low-power storage; low-cost, high-speed photonic data transfer; and a brand-new operating system to handle it all. But what The Machine will do – the idea behind this breakthrough hardware – is much simpler to explain. According to Hewlett-Packard scientists, The Machine could replace an entire computer data center with a single computer the size of a refrigerator. These data centers, aka “server farms,” are huge clusters of computer servers that serve as the “physical Internet” for technology companies – they house these companies’ most important and vulnerable network components and information. A big server farm can be over 100,000 square feet large and use as much power as a small town. Just do the math on how much The Machine could reduce the size of a supercomputer or your office’s data “closet” – or how much power it could add to your laptop or smartphone. Whitman discussed The Machine at a company-sponsored event in Las Vegas last month, but the major media pretty much ignored the news entirely. Because Wall Street and most investors seem to have discounted HP’s Machine so far, we have a chance now to get in on the ground floor. In fact, HP was the winner of our Clash of the Tech Titans battle between it and IBM Corp. (NYSE: IBM), which I hosted just a few weeks ago. So, if you bought in then, your floor is even lower. Today, I’m telling you all about The Machine. And I’m going to tell you about a conversation I had with a top turnaround executive that leads me to believe Hewlett-Packard CEO Meg Whitman knows that bringing her company back to prominence will require much more than just the slashing and burning we’ve seen so far. I’m always on the lookout for profitable tech investing ideas. And twice a week in this column, I share my discoveries with you. One of the things I really enjoy about this “job” is hearing that you are using our advice, recommendations, and strategies to build meaningful wealth. I jokingly call this a “job” because it’s really more of a mission. More than half of America’s households have little or no net worth. And I know that technology stocks offer the single best solution to that problem. Therefore, I simply want to help you build your retirement savings and overall wealth – through tech. I want to help you understand everything about investing in technology stocks, from my five-part strategy for spotting winners to my rules for navigating choppy markets. Share prices of Apple Inc. (Nasdaq: AAPL) have climbed more than 56% in the last year and are currently trading just below their 52-week high of $97.10. Microsoft Corp. (Nasdaq: MSFT) stock is up 42% in the last year and has reached its highest value in more than 14 years. 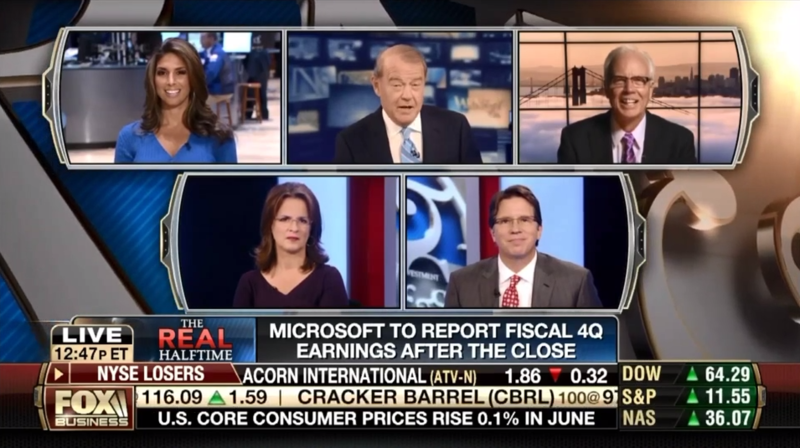 So how should investors play MSFT stock now that it’s trading at such high levels? Earlier this month, Sanford C. Bernstein, one of Wall Street’s “top” research firms, concluded that there is no correlation between big research-and-development spending and stock performance. They’re not. Instead of spending valuable time and dollars, the Bernstein researchers could have figured all this out with a single phone call – to me. As someone who’s been in the technology trenches for the past 30 years, I know well that spending a ton of cash on research does not guarantee profits or stock-price appreciation. What technology companies need are cost-effective research budgets. To be fair, Bernstein’s study sounds exhaustive. The researchers went all the way back to 1977 and measured results over time frames ranging from one year to a decade. Of the R&D winners Bernstein listed, three are companies that I’ve recommended as portfolio-boosters in the past here in Strategic Tech Investor. These are firms that use their research dollars wisely and get market-beating gains in return. However, I see things much differently. The tech-centric Nasdaq Composite Index has gained some 6.5% so far this year. That’s more than double the Dow Jones Industrial Average‘s 3% gain. This is great news I just had to share with you. Folks in Silicon Valley have a term they use to describe a company that wants to keep its operations quiet. The term applies to a startup that’s hiring, raising funds and developing a product – but is operating in secret to keep its competitors in the dark. “Stealth Mode” also could describe this quiet – but substantial – rally tech stocks have been in nearly all year and, especially, during the last three months. While the media was focused on the Dow recently hitting a record 17,000, the Nasdaq has done twice as well. All the while, Wall Street and the mainstream financial media have kept quiet about it. About 15 months ago, I noted that well over half of all Americans have less than $25,000 in savings – and can’t afford to retire. That number hasn’t changed much overall… but I know it’s changing for you. After all, at the same time, I told you that the road to wealth is paved with tech. This has long been true – from the lightbulb, the radio, the television, and the airplane in the past to transistors, semiconductors, computers, software, the Web and smartphones today. And these midyear numbers prove this trend is showing no signs of slowing down. Today, I want to talk with you about why I think tech stocks will continue climbing for rest of this year. 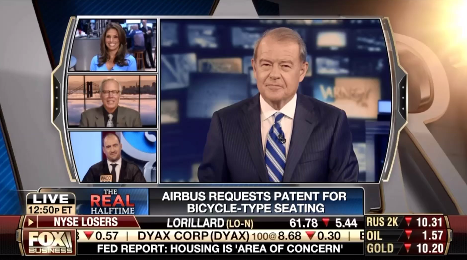 Can the Airbus Airline Seat – a “Medieval Rack Torture Device” – Actually Sell? Privately held Airbus has filed a U.S. patent application for some space-saving – but altogether uninviting – seats to go in its aircraft models. 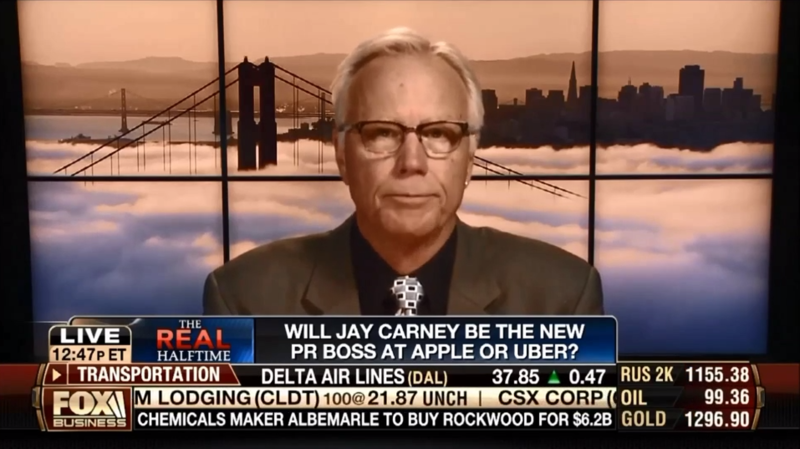 How Would Apple Stock React to Jay Carney as New PR Boss? According to reports, Apple Inc. (Nasdaq: AAPL) is considering President Barack Obama‘s former press secretary Jay Carney for its top PR job. It would be a controversial choice, to say the least. You know I get stoked when a stock I’ve recommended to you does well. So you can imagine how excited I am that I now get to recommend a stock all over again. Thanks to a selloff shortly before I first shared this stock with you, we were able to buy this stock relatively cheaply. And since then, just five months ago, the stock has soared 105%. And I think today’s price, about $56 a share, is still too cheap. Over the last three years, this company has increased earnings per share by an average of 73%. For now, I’m going to be conservative and assume it grows by only one-third that amount going forward. That would give us earnings growth rate of 24%. At that rate, profits and the stock price could double again in as little as three years. This is a stock that provides us with a buffet of choices. We can sell it and make our double. We can keep it and watch it quadruple. Or we can buy some more, and then watch our portfolios soar higher and our retirements grow more secure. 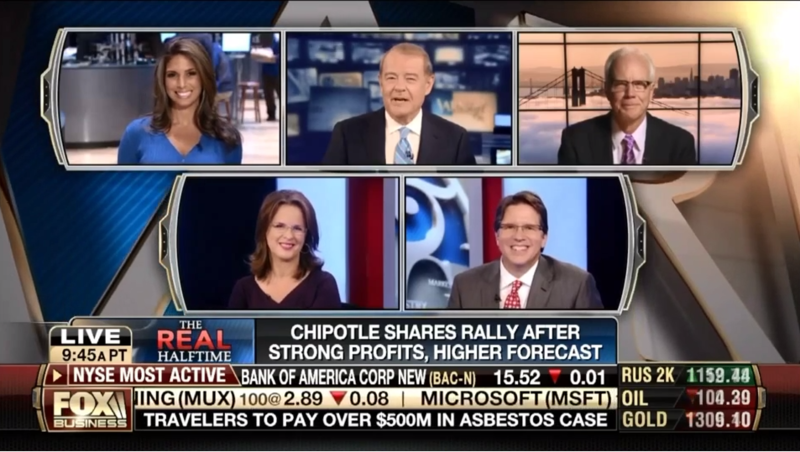 Today, I want to explain why this stock continues its upward trajectory. China and Russia‘s $400 billion natural gas deal was one of the first shots in their energy war against the United States and Europe.